Cleveland is on the verge of landing a major event that would not only pump an estimated $60 million into Cleveland’s economy, but also further establish Cleveland as a place that is welcoming to the LGBT community. The Gay Games are the world’s largest sporting and cultural event for the LGBT community, and Cleveland is currently competing with Boston and Washington D.C. to hold this event in 2014 that, like the summer or winter Olympics, occurs once every four years. Value – Your dollar will definitely go farther here than in Boston or DC, and that’s critically important for international spectators and athletes. More visitors add up to sold-out hotel space and significant economic impact across the entire Greater Cleveland region. Location, location, location –Cleveland is centrally located in the Midwest with many major metropolitan areas, including those in Canada, less than 500 miles away. Community support – The Cleveland Synergy Foundation (CSF), a nonprofit organization rooted in the LGBT sports community, is galvanizing support from public officials at the state and local levels as well as the LGBT, civic and business communities. CSF is working hard to promote Cleveland in those ways and more, and on Friday they intend to rally the Cleveland community with an event called Frivolity that will be held at the Rock & Roll Hall of Fame and Museum in downtown Cleveland. These pioneers go into decaying neighborhoods and take a chance where others would just take a pass. Urban pioneers are a rare breed and one to be sought after. In Cincinnati one such neighborhood is Northside where a once borderline neighborhood has become one of Cincinnati’s best with a neighborhood business district that boasts tons of local businesses with unique offerings, fun nightlife and an enjoyable street scene. Over-the-Rhine is another such neighborhood. Given its size it will take more than just one set or urban pioneers like the LGBT community in Northside. In OTR it is the artists and creative class, young professionals, LGBTs and others. It took these pioneers to turn 12th & Vine from one of the worst intersections in Cincinnati to one of the best. It’s happening right now just up the street at 14th & Vine and throughout much of the 100+ block historic neighborhood. If city’s want to continue to turn themselves around and repopulate their urban neighborhoods, then the demographics that are known for doing so must be pursued aggressively. That means Cincinnati must do a better job at attracting immigrant populations, artists and the creative class, young people and the LGBT community. Hat tip to Ashley from Raves and Reviews in Cleveland. 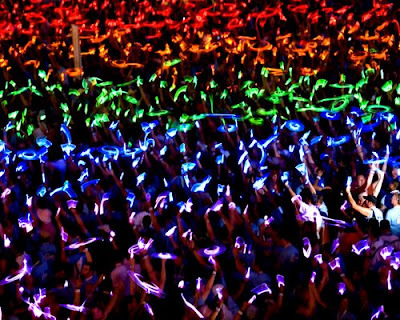 Photo of 2006 Gay Games in Chicago by William Zachary.